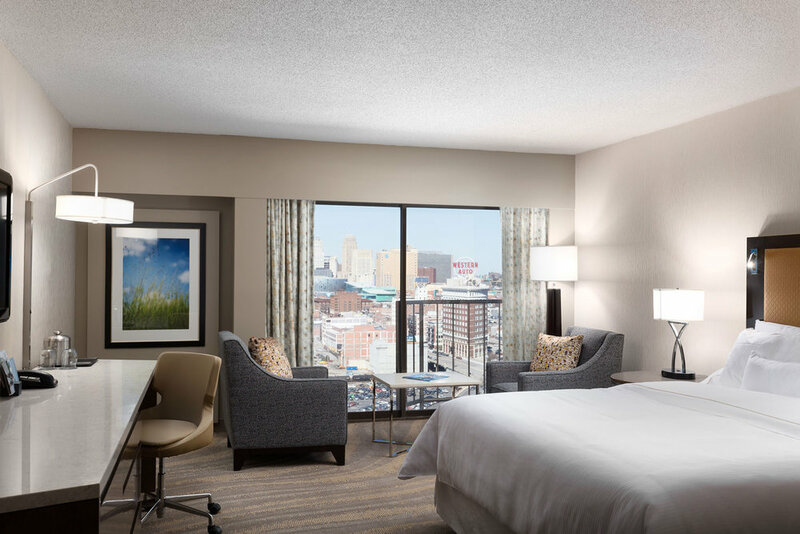 The Kansas City Business Journal has featured PGAV's renovation of the Westin Hotel at Crown Center. Collaborating with SA Dezign Studio, PGAV Architects adapted the initial model room design scheme over seven distinct room types and suites since many of the rooms had unusual floor plans with unique furniture arrangements. The design also updated the twenty year-old aesthetics while the new furniture supported the connectivity and power needs of the modern traveler. The entire 722 room renovation included standard rooms, suites, and meeting rooms on 14 floors, conversion of existing rooms to ADA rooms, and 85 shower conversion rooms on the top two floors of the hotel.